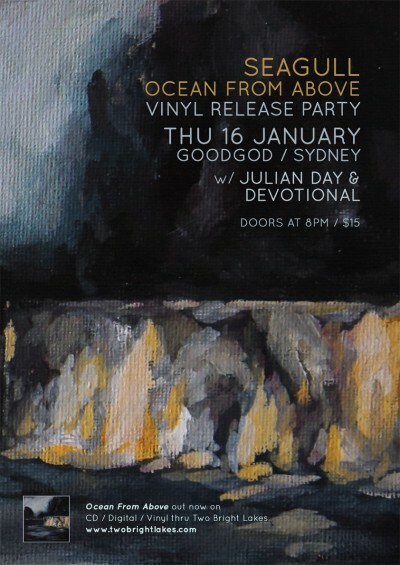 Seagull have released their record ‘Ocean From Above’ on vinyl, and to celebrate they’re travelling north for a launch party in Sydney! Evolving since 2006, Seagull is a band fronted by songwriter and classically trained guitarist Chris Bolton, based in Melbourne, Australia. ‘Ocean From Above’, their latest record, is a mellower affair, full of gorgeous folk melodies and subdued yet complex instrumentation. Come bask in it all at Goodgod, with two fantastic supports in Julian Day and Devotional.